Effective 4th of November 2013, Voyagers® is proud to introduce five new staff members to our Kitwe team. 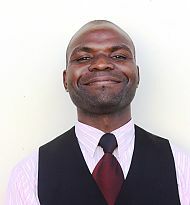 Hopekins has taken up the position as the Travel Manager supervising our Travel department in Kitwe. 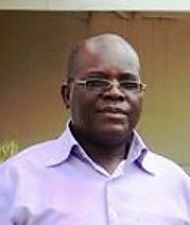 He joined Voyagers® in 1999 and brings with him a wealth of experience from our Lusaka branch where he was in charge of several large Corporate Accounts. Hopekins is enthusiastic and excited about the opportunity Voyagers® has given him and will share his 14 years of knowledge with the Kitwe staff. Voyagers® wish him all the best in his new role. 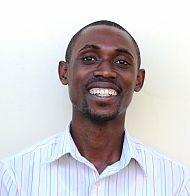 Abraham has moved up to the Copperbelt from Lusaka to join our new Voyagers® Kitwe team. He has been in the travel industry for 13 years, 6 of those years he was in the position of Senior Travel Consultant with British Airways until they closed down their operations in Zambia in October. 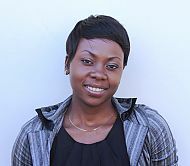 Izukanji comes to Voyagers® from Chingola and brings with her 5 years of Travel Agency experience. Dube is an enthusiastic and bright trainee – he previously worked for a Travel Agent in Lusaka gaining knowledge on the Galileo Central Reservation System and local Zambian tours. We have high hopes for this young gentleman! Bridget arrives with 4 years’ experience in the Travel industry. These five new members of the Voyagers® team are now in place, together with Bwembya Chomba and Candice Harrington and together they have pledged to set up Voyagers® Kitwe as the best Travel Agency in town! On the other hand, Voyagers® is sad to announce that we are losing four long term and wonderful staff members for various reasons. Lynda Phiri - has decided to move to Ndola and take care of her baby and turn into a full time mother. Musonda Kapapula – informed us that she needed to retire from the Travel Industry which had become all consuming – we wish her luck in her new life. Ruth Kalobwe – we wish Ruth all the best in her future. And last but not least, Irene Barratt. Irene has been with Voyagers® since 2002 and informed us that the stress of Travel ‘business’ no longer appealed to her and that she is going to follow another career path. Irene helped us in the transition phase by staying with us for an extra month - a wonderful gesture and absolutely typical of her dedicated approach. Irene informed us that she was returning to her country, Malawi, on holiday. 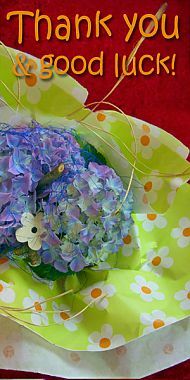 We wish her a fun and happy time there. Further, we would like to thank her for all the years she worked with us at Voyagers®. Please join us in welcoming our new colleagues to the Voyagers® Team; everybody at Voyagers® will be behind them with all necessary support to make the transition as smooth as possible. For all those leaving Voyagers®: Thank you very much for your past support, the service you gave to our customers and your outstanding loyalty for Voyagers®.